I love Google Drive. It downloads your documents perfectly and works properly. Let’s you complete assignments that are just how you want them. I enjoy all the features included. 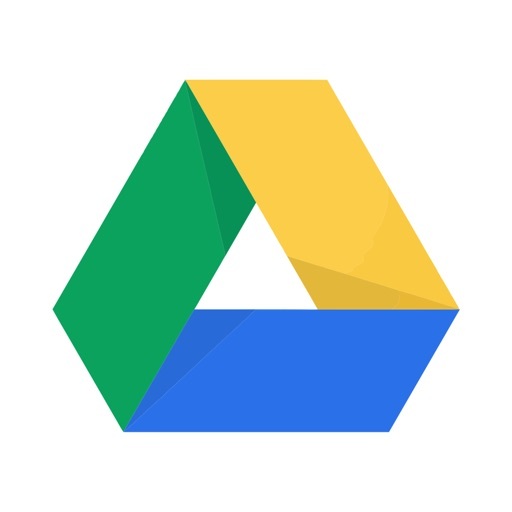 People store sensitive documents in Google Drive. Before it was possible to lock the app and its content with TouchID. It was remove for some reason several months ago with no explanation. Please bring this feature back! I love my google drive! As a writer and an artist, google drive is like my best fiend. Always there when I need it. Google drive has a great memory and holds my special moments dear. I am able to write from anywhere and feel confident because my work is immediately saved. I appreciate all of you at google for this essential tool in my life! Thank you all! PDFs won’t print to my printer if the it’s through canvas, how do I fix this. Constant delete and reinstall, All but nerfed. I’ve used Drive on and off for a half dozen years. It used to be awesome. It used to be flawless. Much like Google, it used to actually do what it was supposed to do, and now it clearly has no idea what it is. I use 500gb of personal space, primarily to store photos, because I don’t need google photos running facial recognition on everyone I happen to shoot. I’m a professional photographer... these files range from 12-40 mb each. With every upload, drive fails to load previews, then crashes. Restart it, it crashes, unable to show a simple thumbnail. What’s more, I can no longer save directly from the web to drive because of security permissions and zero functional interoperability with my OS. The app will work... if I uninstall it after each upload, then reinstall before looking at my photos. Is it worth it to have to reinstall a failure of a piece of crap every two days? No. Do I have a choice? No, my employer uses it. The least you could do, Alphabet, is properly support and vet products. I stopped buying google products or using their services for anything except what I have no choice in, and that’s reconfirmed every time I need to rely on their unreliable and half developed “products”.